To me, she'll always be royalty. What an amazing and beautiful tribute to the late great Carrie Fisher. Leia's iconic outfit from the classic THE EMPIRE STRIKES BACK is as stunning as it is impressive. Without a doubt, the best Hot Toys head sculpt I've seen yet! Thank you so much for this! Amazing piece, so life like! A superior addition to ANY collection! One of my favourite items in my collection. 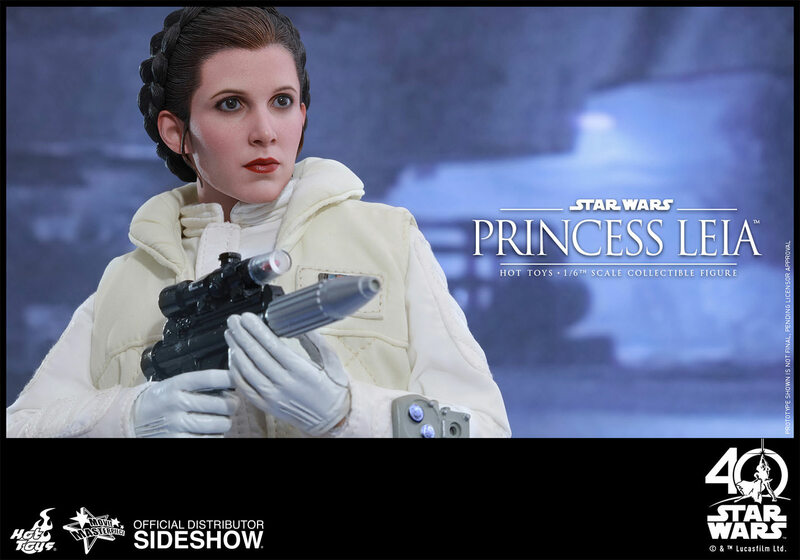 An amazing likeness, and must have as my first Leia). Now I need to complete it with the other two versions. 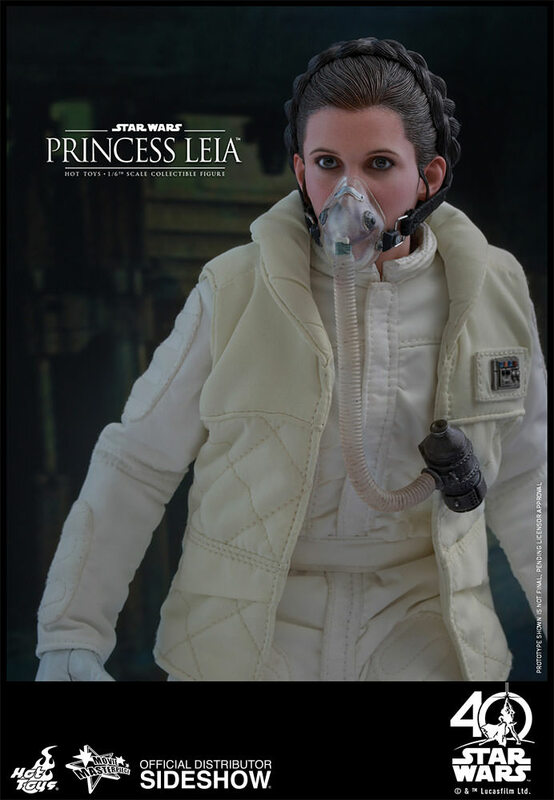 Would be fantastic if HT brought out a Return Of The Jedi version when she was captured by Jabba. This is AMAZING!! No, SERIOUSLY AMAZING! 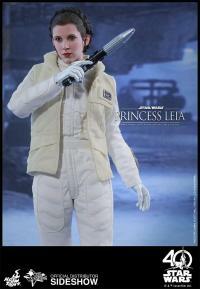 I have well over 60 1/6 scale figures; Hot Toys, Sideshow and others and this has got to one of my all time favorites. The artists on this have gone beyond exceptional crafting and detail. Love my Leia! 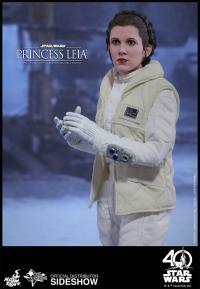 Beautiful figure and extraordinary likeness - I love it! I absolutely love this Leia, this might be my favorite piece in my collection. The likeness is amazing and the poses you are able to put her in are just fitting. As my first Hot Toys collectible, I was amazed at the quality and durability. Amazing figure. Love This Figure So Much! 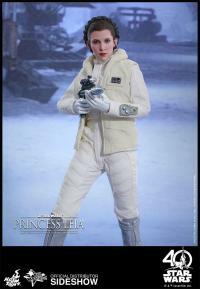 The talented sculptors at Hot Toys did an exceptional job recreating my favorite princess! This figure makes my heart happy! This figure is beautiful. Every detail is amazing. Love it !! 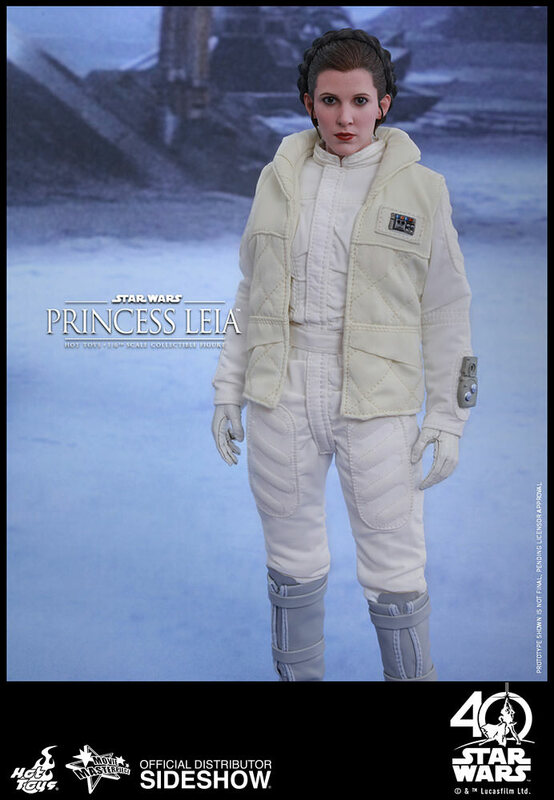 My favorite movie of all time is Star Wars the empire strikes back. This figure is absolutely amazing in every way. Great purchase and edition to my collection! Me: I love you. 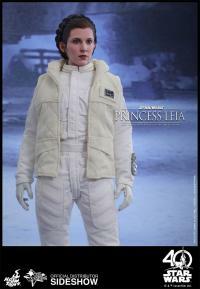 Leia: I know!!! This is by far one of the most amazing pieces thus far!!! Detail and head sculpt is fantastic. I couldn't ask for any else when it comes to this figure. A must buy!!!! This figure is simple but amazing. The sculpt is fantastic and the costume is perfect!!!!!! Great job on this figure, it is very beautifuly done. Recieved it today and I'm blown away by how cool it is. Who is she? She's beautiful! What an amazing and beautiful tribute to the late great Carrie Fisher. 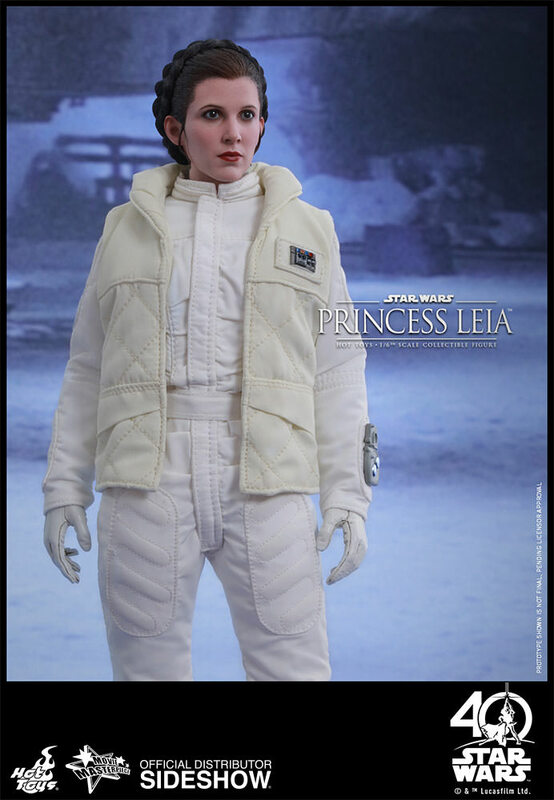 Leia's iconic outfit from the classic THE EMPIRE STRIKES BACK is as stunning as it is impressive. 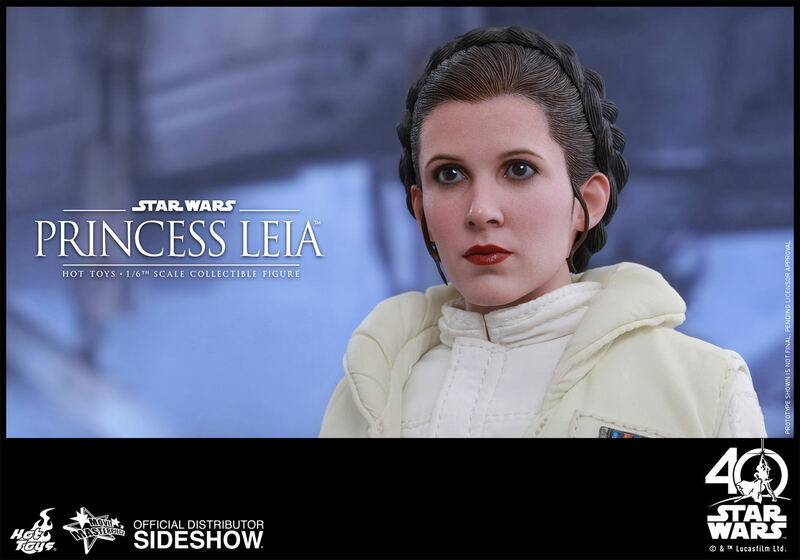 .Without a doubt, the best Hot Toys head sculpt I've seen yet! Thank you so much for this! 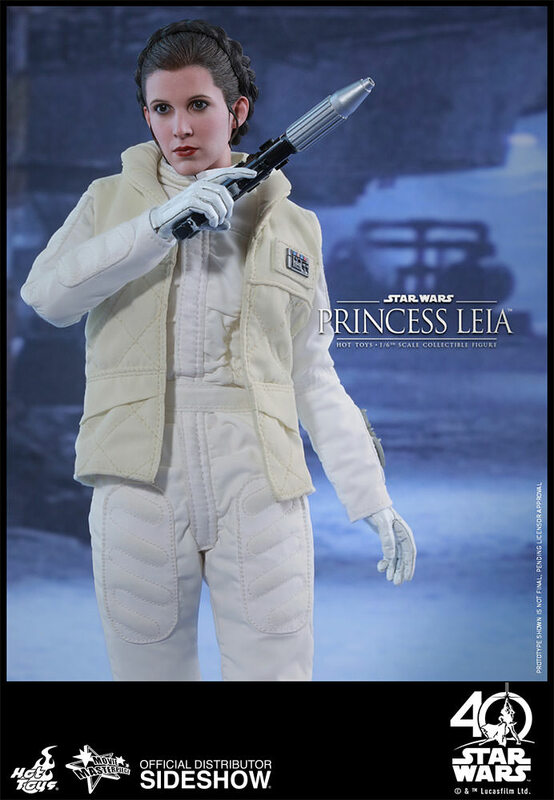 An amazing and beautiful figure, a must have for any collection. Not only is the likeness amazing nut the paint apps and shading are unreal as well. 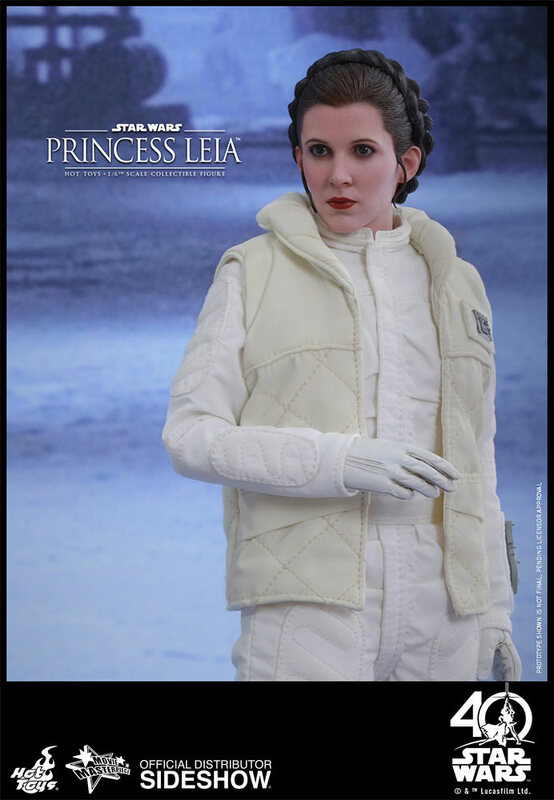 its like they shrunk Carrie Fisher and sent her to you in a box. The Cut and Sew is also spectacular. This release is just like the actress. She would have loved it. Purchase it and you will see . 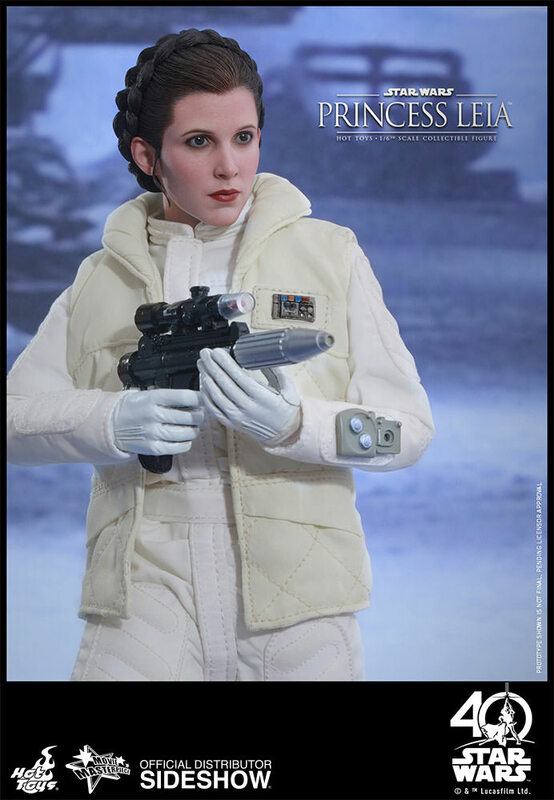 I was eagerly anticipating this sixth scale figure. 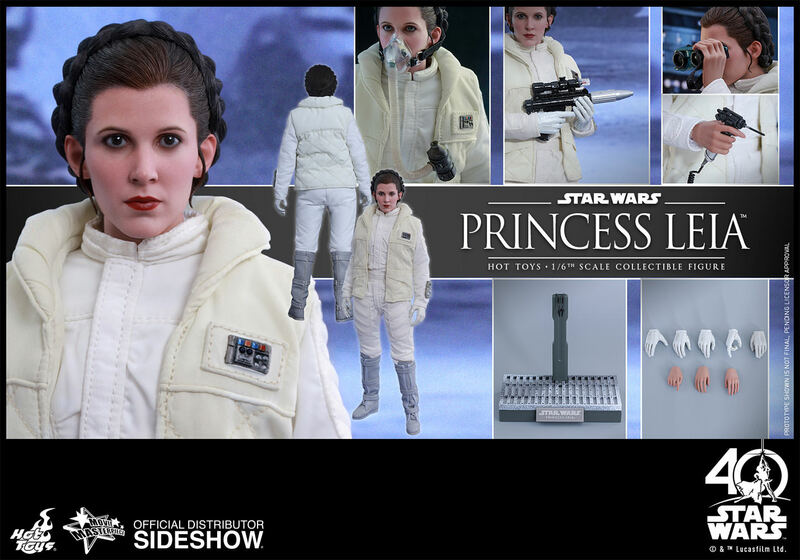 The head sculpt is by far the greatest likeness to Carrie Fishers Princess Leia that Ive seen thus far. 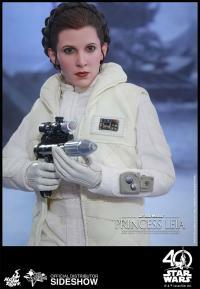 She looks spot on to how she looked in ESB. The accessories allow for multiple display options. 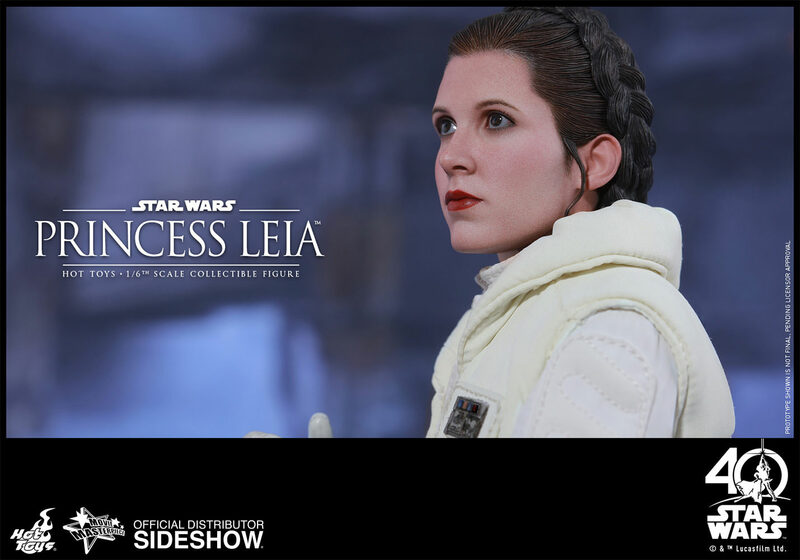 This is a no-brainer for Star Wars fans! I have been waiting for this figure for what feels like forever. I expected this to be the perfect figure, and when I recieved her, she was all that and more. 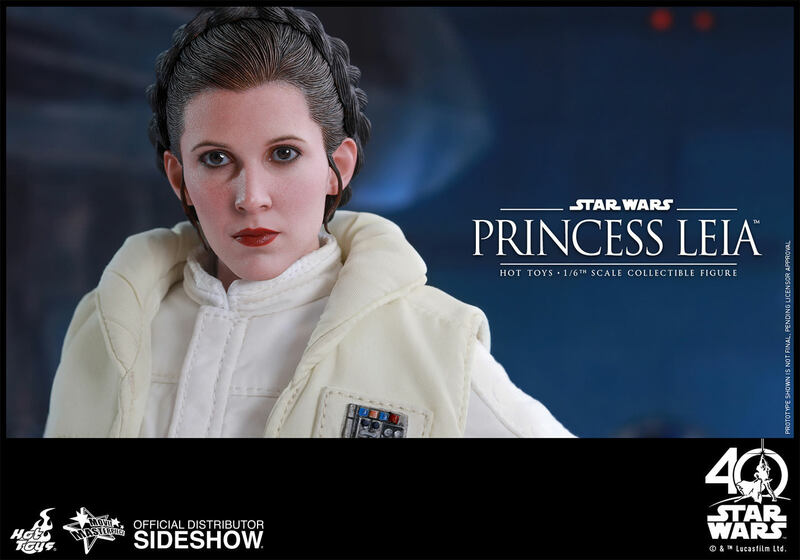 The face sculpt is absolutely perfect, and has spectacular likeness to Carrie Fisher. This is by far my favorite figure that I own. 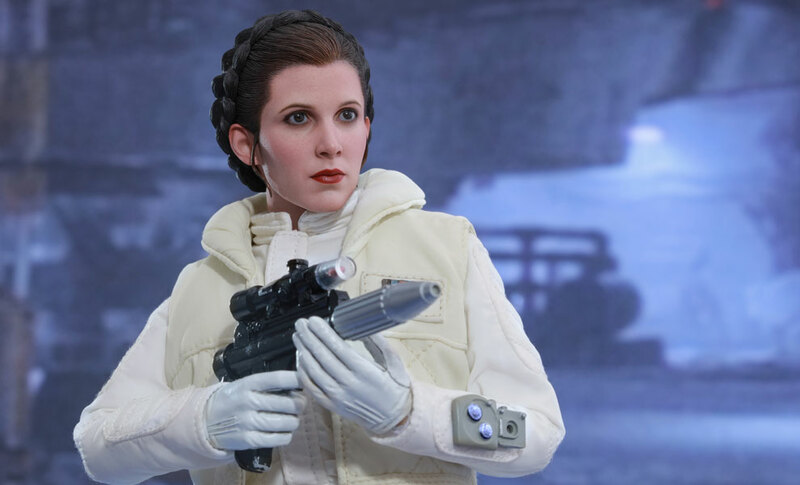 I could go on forever how great Hoth Leia is, but I will focus on two things I love most: #1 - This is the best Carrie Fisher face/head sculpt of any Leia I have ever seen! #2 - Everything about her is PERFECT! The clothes, the accessories! Most-fitting tribute to Carrie Fisher! 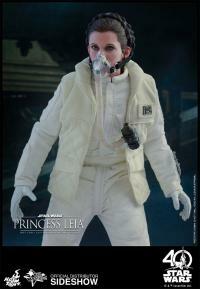 ESB is my favorite film of the franchise and once again Hot Toys does not disappoint. The head is simply amazing and the costume takes you right back to Echo Base. Lots of accessories as usual so no lack of display options. 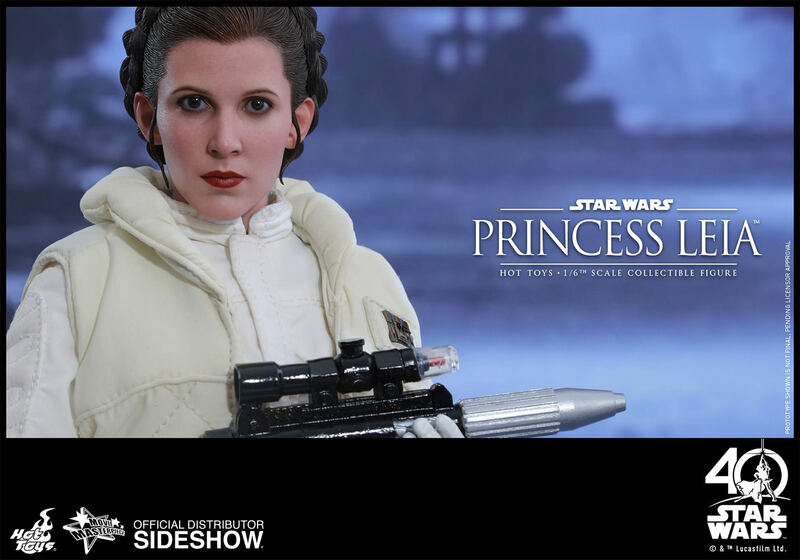 Need the Han ESB like NOW! 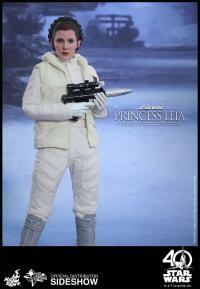 Hot Toys does the women of "Star Wars" very well. 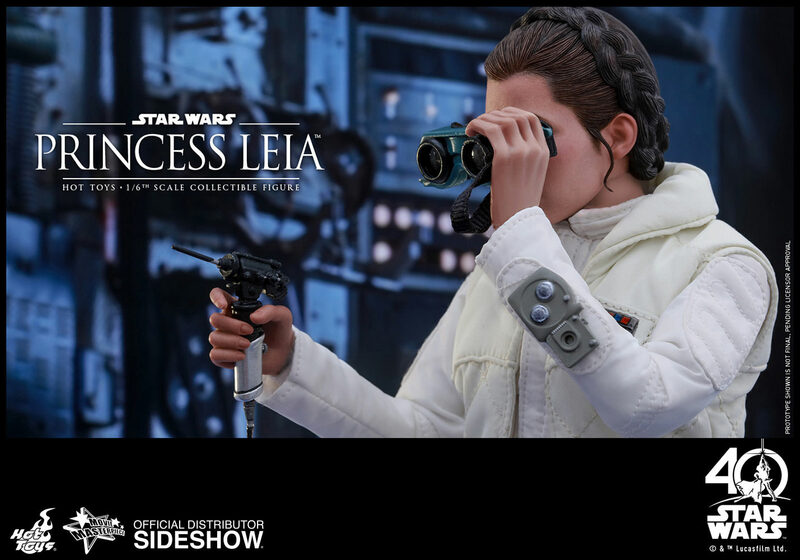 Rey and Jyn Erso are some of my favourite figures that I own, so I was excited to finally receive my "Empire" Leia today! Wonderfully realistic headsculpt, and beautifully tailored clothes make this another great addition to my collection.